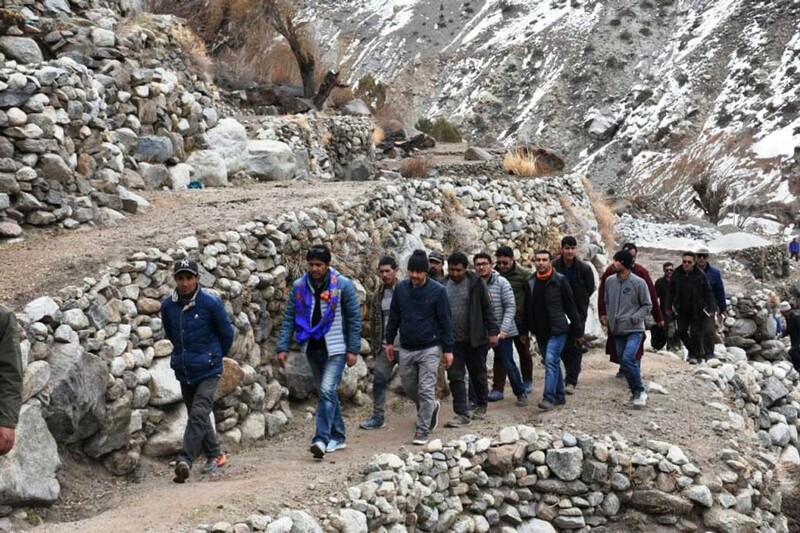 Baseer ul Haq Choudhary, DC Kargil took stock of various problems and demands of the people during his tour in Batalik and Darchiks Garkone area of Aryan valley on April 5. He interacted with the public delegations from Batalik, Gargardo, Sanachay, Hardass and adjoining villages who apprised him about the problems and issues being faced by them. People demanded augmentation of healthcare facilities at PHC Batalik, provision of electricity to the area from Chutuk Hydel Project, the establishment of High and Higher Secondary School in Batalik area, realignment and widening of Kargil- Batalik road. Also, repair and renovation of school buildings, construction of community halls, provision of computer facilities in schools, construction of protection bunds, repair of irrigation khuls, macadamization of link roads, ambulance service, deployment of teachers and other related demands. Baseer ul Haq Choudhary said that the District Administration is fully committed to its duty to redress the issues of the people. He said that a holistic approach is adopted to streamline water and electricity supply, better road connectivity and irrigation, healthcare, communication system and other related facilities in the in rural areas of the district. The officers were asked to take timely measures to kick start the developmental projects and works in the area for the current financial year so that these could be dedicated to the people well in time. Baseer ul Haq Choudhary also took sector wise brief from the officers on the issues related to water supply schemes, power supply, health centers and schools, roads, livestock, health care, ration supply and other necessities of the people and gave on spot instructions for taking necessary measures for early grievance redressal. He also asked the officers to conduct regular field visits to see the status of the implementation of various developmental activities and get people's feedback.